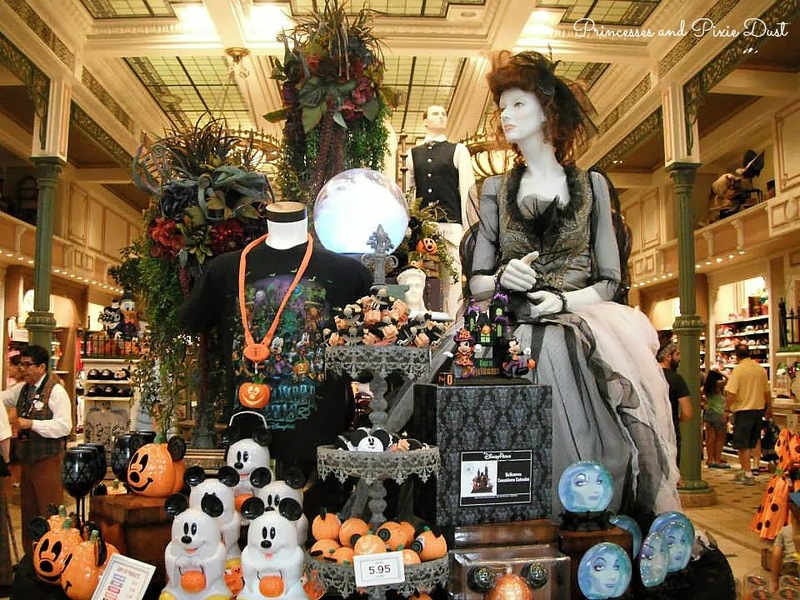 Princesses and Pixie Dust: Snapshot Sunday: Halloween in August! Snapshot Sunday: Halloween in August! Happy Sunday, princes and princesses! Can you believe Halloween is only four days away?! I'm can't wait for all of the frightful fun to come! Even though this week's Snapshot Sunday looks awfully October-ish, it was actually taken way back in mid-August just before I headed back up to North Carolina. Now, some people might've said that it was a tad early to be breaking out the cobwebs and cauldrons, but (putting aside my penchant for celebrating holidays months before it is culturally acceptable to do so) I was thrilled to catch a glimpse of the Magic Kingdom's fall decor before I hit the road. 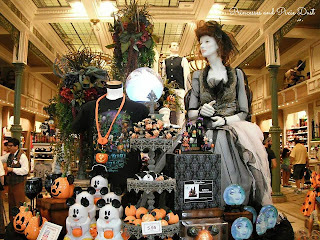 While Walt Disney World's decor is remarkable in its day-to-day existence, the Halloween and Christmas seasons breathe fresh life and even more magic into the place where dreams come true! I'm a sucker for that cute spook on the bottom left! Have a most magical week! "Let's Celebrate" with Disney on Ice!